Nigerian RnB singer, Banky W and filmmaker, Kemi Adetiba have probably cost two Uber drivers their job after they both reported their drivers over complaints. 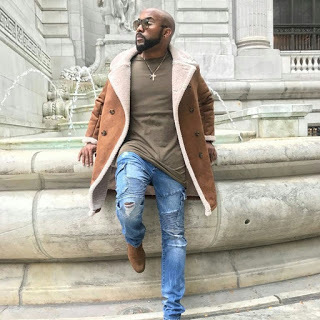 Banky W raised alarm after he noticed his driver shaking on the wheel and couldn't even use the gps. Banky immediately reported the man on the Uber safety line, while his director in, Wedding Party, Kemi Adetiba lashed out at her own driver cause he was relaxing on the wheel. Tho their lives are on the line and adequate caution should be exercised, someone needs to tell these celebrities to employ their own personal drivers if they can't bare to see how some drivers handle their wheels, rather than being the cause of a bread winner losing his job.